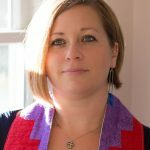 At the First Unitarian Society of Ithaca, we strive to nurture attentive listening and respectful communication, and to appreciate our members’ and friends’ many theological and spiritual paths. We welcome all who share this vision and invite you to share our journey. After June 10th our Sunday services start at 9:30 a.m., though arriving a few minutes early will allow you to get seated and to read our bulletin. Regular service times, 10:30 a.m., resume in September. On-street parking is available for free, with a limited number of reserved spots for persons with disabilities, nearest our building. There are also limited spots in the parking lot adjacent to our Parish House building. Please note: These are ONLY available on Sunday mornings, not for any other church-related event at any other time. You may enter our building through any of our entrances – on Aurora Street between the main Sanctuary and Parish House, on Buffalo Street adjacent to the Sanctuary, or into the Narthex on the corner of Buffalo and Aurora. When you arrive, a greeter can direct you towards the Welcome Table in our garden entrance, where you’ll find information about our congregation and an yellow pew card for you to fill out, so we will be better able to serve you. Please leave your completed card in the offertory basket or at the Welcome and Information table in the parlor after the service. Children are always welcome at our services. The service is broadcast into our Parlor, if you find your child needs a little more wiggle room than the Sanctuary provides. We also offer nursery care for babies and toddlers during the service, and our outstanding Religious Education (RE) program covers preschool through high-school aged children. Please refer to our RE web page for more information. Note that the children’s Religious Education classes often involve crafts or other potentially messy activities, so visiting youngsters should dress accordingly. Help us to welcome you by name! Our custom is to wear name tags at all gatherings. On your first visit you may choose to write your name on a special guest name tag. When you feel comfortable, you may request a permanent name tag by filling out a yellow pew card or inquiring at the Welcome and Information Table. Your name card will be ready the following week. If you have questions after your visit, please feel free to visit our Membership Coordinator or any volunteer at the Welcome and Information table. You may also call our Church office (607-273-7521, ext. 21) with questions. Approximately once each month, we will be offering a Newcomers Inspired, Connected and Engaged to help us get to know you better and teach, in depth, about our liberal faith tradition. However you choose to participate in the activities of the First Unitarian Society of Ithaca, we welcome you and look forward to meeting you!